Thanks for all the work out Kudos. It's been really hard, physically and mentally, but i'm seeing awesome things like stronger muscles, and perhaps a few waistbands are a bit looser than before. But at this stage, i'm trying to focus on getting stronger and healthier - in fact, i'm not even getting on a scale at all, and leaving all my success to my measuring tape (which, by the way, tells me i've lost 7.5 inches in 4 weeks... so that's awesome) *i originally had months, not weeks. lol, that's not very impressive at all. And thank you for all the Birthday wishes for little Artoo. He actually had his birthday party this weekend, so i have some fun photos to share. BUT FIRST - i actually taught a beginner's class this weekend with some lovely ladies. It was nice to actually teach, again, and i'm always intrigued by how nervous i am of a public speaker. But, as per usual, as soon as i begin the act of tangling - i calm right down. amazing how that works. I also got to speak in Artoo's class this week - about what my job is, as they're having Education Week at school and so lots of the kid's parents were coming in to say a few words about what they do for work. So, i came in and talked about being a Mom, and as Artoo says: "My job is doing the laundry" - cheeky. But the kids were adorable, and they asked me questions like: "do you make healthy food for your family?" and "do you look after Artoo and Chewie when they're sick?" So - yes, my job is more than just laundry. The weather has been really blah for the past few weeks - and we're all really feeling the effects of the lack of sunshine here lately. Between the snow and the seemingly continuous rain we've had lately we haven't been able to clean up the leaves, but B-rad took the boys out for a solid 2.5 hours this weekend and they got it done, just before it started to rain, again. So this year Artoo wanted to have a Monsters University birthday party - and he's been talking about it ever since we went to Disneyland this summer. He had an agenda all planned out and he's been very excited for weeks and weeks. then all they had to do was draw their monster and nae them. I was seriously impressed. Great little artists in his class!! And they each made their own Monster, and then we did "Scare School" where they practiced their roars, and they learned to sneak.... and they played with all the dress up clothes..
All in all, Artoo told me it was the Best Day Ever as i put him to bed Sunday night. So. that's pretty awesome. Weekly Challenge #290 "Duotangle: 'NZeppel vs Flux"
A Duotangle is a term coined here at Casa Diva for a tile or piece using ONLY TWO tangles (and/or their variations). Sometimes it's tricky to limit yourself to only two, and then you must think of new and interesting ways those two tangles could "Go" together!! So - this week's challenge uses 'NZeppel - which i love, and FLUX - which i also love. AND these two tangles also have two different official variations. 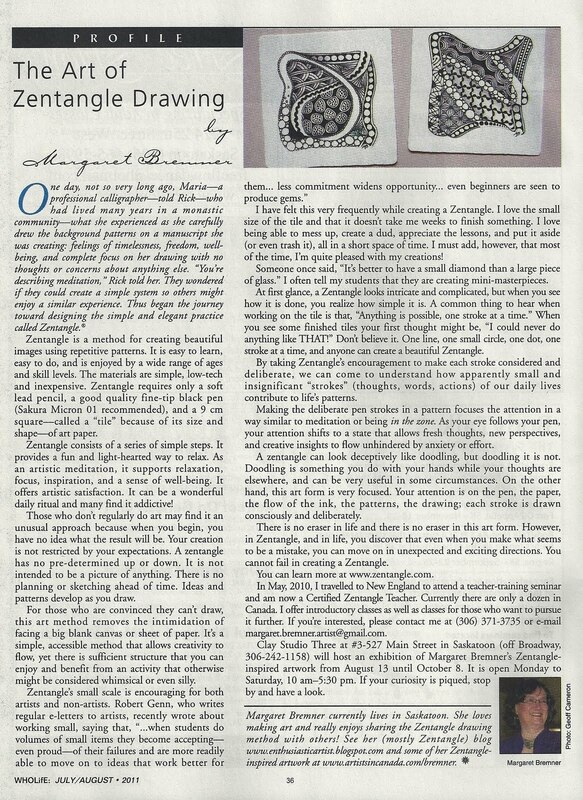 'NZeppel first appeared in the Zentangle newsletter back on August 31, 2009. You can see the step outs HERE - it's a grid based pattern, or a "grid on a grid" pattern, because you start with drawing a grid, then intersecting a grid on top. both versions have filled in grid sections, and i find when filling in the grid sections of this tangle - it's best to imagine a water balloon filling up the space, as much as it can - but not quite ever filling it all the way. At least, this is what i say to myself when i do this tangle, and i find it helpful. Because Halloween in right around the corner, i thought i'd make my tile a little bit festive. My idea for the ghosts was simple, to use the flux shape as the body, and then smaller flux shapes for the eyes and mouth. It turned out really great, actually. I thought that the wonky grid 'Nzeppel would make an awesome spider web - and i think i was right. I wish you could see this tile in real life, it looks so neat. Instead of using a gel pen, i used a Clear Sakura Glaze pen, and on the black tile it looks so awesome - shiny black on matte black. So, i took three different pictures to show you how the tangled web looks different as i move it in the light. I hope you have fun this week!! i sure did. And if you're on Instagram or the Zentangle Mosaic App, - i'm @iamthediva - come on by and follow me, and i'm going to be using hashtags on the app for each of my weekly challenges. So if you're game - use the hashtag #DC290 (Diva Challenge #290) for your tile this week! You can also search in the app for people's contributions to the challenge by clicking on the hashtag from inside the app, or using the search function. I know what you mean about teaching. I still, after years of teaching, get nervous until the class actually begins. Glad you had the opportunity to jump back into it though. Looks like a really special birthday party you orchestrated and I think your tile is so cute! I haven't taught in months myself. So I know that feeling. Going to ZenAgain to get revitalize! Are you going? I really wish I could come to ZenAgain, but unfortunately the Canadian dollar is pretty bad. So it would be extra expensive. You have orchestrated a wonderful birthday party, your kids will always remember that. Thanks for the lovely challenge and I like your "spoky" tile! What fun to combine these two tangles! ...and to read about the birthday celebrations...love those monster cupcakes! Those Monster cupcakes look great! What fun for Artoo. And the Challenge is great. 2 of my favorite tangles. :-D I love your tile with the spooky Flux ghosts on a spiderweb background of "Nzeppel. The pen is perfect. I'm going to have to go find some of them. Laura I'm supposed to be taking a little break but you've gone and picked my two favourite tangles. Oh well so much for that idea lol! Artoo's birthday party looks awesome! Thanks for the challenge, yet again! Two wonderful tangles to play with - so glad I had time this week to do it. Have a great Halloween with your boys. Loved the cupcakes! I've done N'ZEPPEL before but this is the first time I did several versions at one time fun. The monsters the kids drew are all lovely and very creative. Many thanks for the challenge! I love your NZeppel - FLUX - composition! Love the cupcakes too! I wish you and your family a great Halloween time! Love these patterns, both of them. Thank you for the idea. I'm starting in Zentagle, thank you for the inspiration. Great birthday party! I love the creativity. Thanks for this week's challenge! Thank you, as always, for the wonderful challenge! I always appreciate the time and effort you go to in order to have these challenges for us. The birthday party looks like it was definitely a hit...I loved the theme and all the monster goodness looked amazing. Your tile was adorable and wonderfully creative. Looks great! As for the challenge, it turned out to be another real challenge for me. I really like Flux (Rick's version, anyway) but I'm not so good with 'NZeppel. So it took me a long time to get a tile that worked, and that I liked, sort of. But that's why we do these challenges, to help us move forward. Thanks again.